Not all employees should have the same roles, responsibilities and permissions. 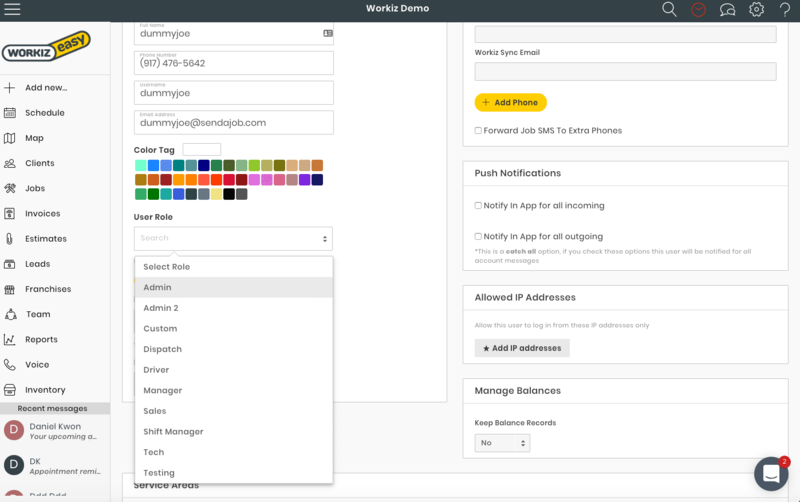 Workiz’s fully customizable user-role feature allows you to keep everyone confined to their own area of business. 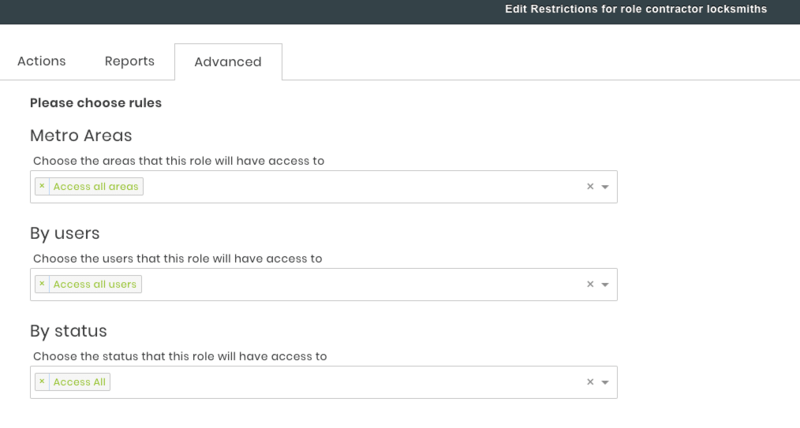 You can easily assign a role to each user and then customize that role or even create new ones. Each role has a set of rules that define what this user can and can not do. 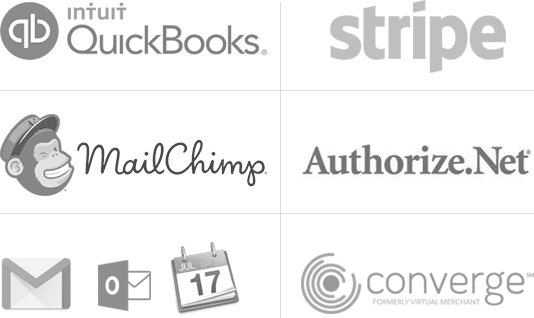 This way making permission changes to multiple users can be done in only a few seconds. You can use any of the predefined roles in Workiz, or create brand new ones. 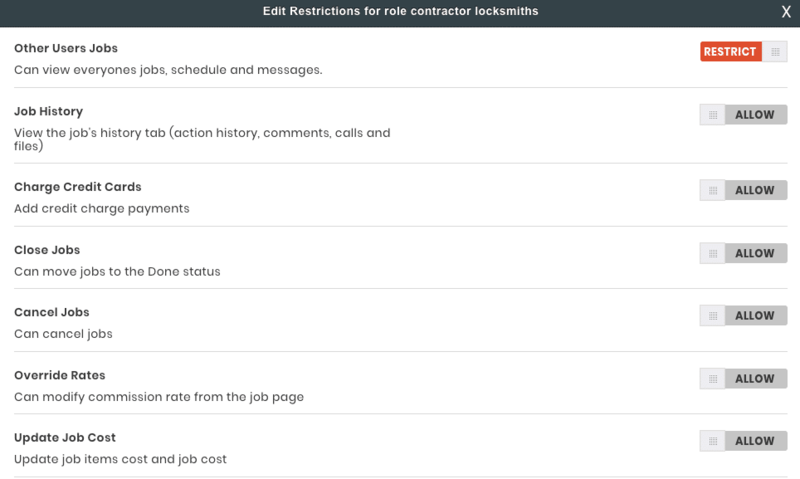 Within each role, you can block access to any section of your Workiz account. You can restrict a user from accessing any specific report or from canceling jobs without your approval, or restrict usage of inventory storage. Block your technician’s schedule so they can only view the jobs that are assigned to them. This includes all reports and statistics. Let your tech view their own performance charts and work on improving their sales. Need to get more specific? Go for it! 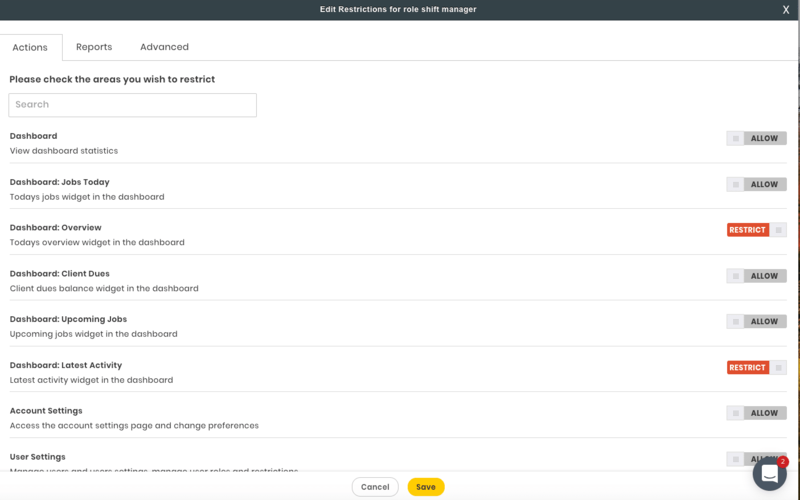 Workiz allows you to restrict access to a group of users, statuses and even service locations, which allows you to scale and manage more complex and large scale operations.